Persimmons are back in season!! 🙂 It’s a November fruit and I simply love the juicy, mushy and sweet Persimmons which have a pudding like texture. 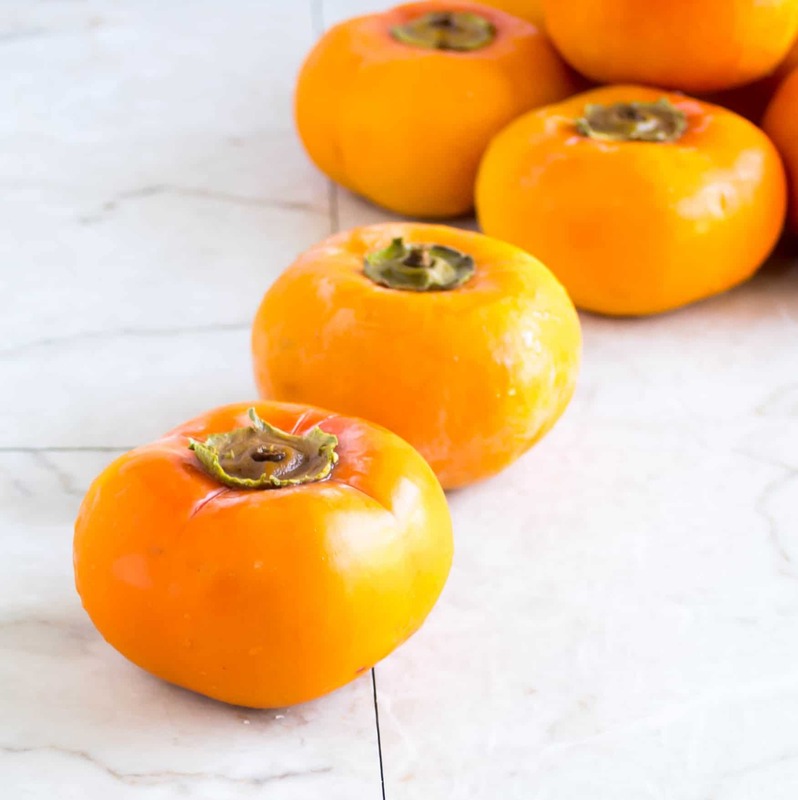 While writing about it I am drooling for Persimmons so I will pause and eat one right away. As soon as I saw this fruit in my local store I had to grab a handful and immediately decided to create a smoothie. Since, I have lots of pumpkin puree I wanted to combine both to see the outcome. With the addition of orange the smoothie got some extra flavor. Remove the seed from the Persimmons. (Do not remove the skin). Peel the skin of the Orange. Pour the smoothie in the glass and garnish with some more almonds. Note: You may use unsweetened original almond milk to substitute coconut milk if required.